Receive an extra 40% discount on selected sale styles (valid until January 16, 2017). Plus, you can also save money on regular priced outerwear, receive 30% discount (valid until December 4, 2016). 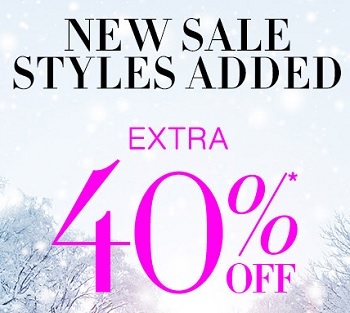 The offer is valid at U.S. BCBGMAXAZRIA stores. Source of the information is BCBGMAXAZRIA. For more details visit U.S. BCBGMAXAZRIA store location.